Peter was really helpful, explaining the existing problem to me before he gave a quote. He then honoured that quote even with a substantial time delay. When I asked if he could wait to do the work until a specific date he was happy to do so, although he had said he could do the work sooner if it suited me. Once he began the work he was always punctual and efficient. When he noticed additional problems with the house he pointed them out and recommended ways to mitigate/ solve them. He then recommended additional tradesmen for internal jobs I had pending. The quality of the work is perfect and was completed swiftly, in less time that was originally proposed. Overall a very good experience, particularly after having had several cowboys over the last few years! I called Peter on the basis of the positive reviews and was not disappointed. He responded to my phone call immediately and arranged to call the same day. The problem was identified with photographs and options for resolution discussed. The scaffold tower was arranged and erected the next day and then Peter and his son completed the work the following day. The work was efficiently and tidily completed with photographs again showing the extent of the work as well as the damaged gulley etc being retained for examination. The scaffold was dismantled the day the work was completed and the property back to normal within 2 days of contacting Peter. Overall a very positive experience leading to this positive review. I was very impressed with Peter and his team, and have already recommended them to my neighbour.I particularly needed someone who could repair a chimney stack as well as re-tiling a bay window and replacing/repairing gutters. 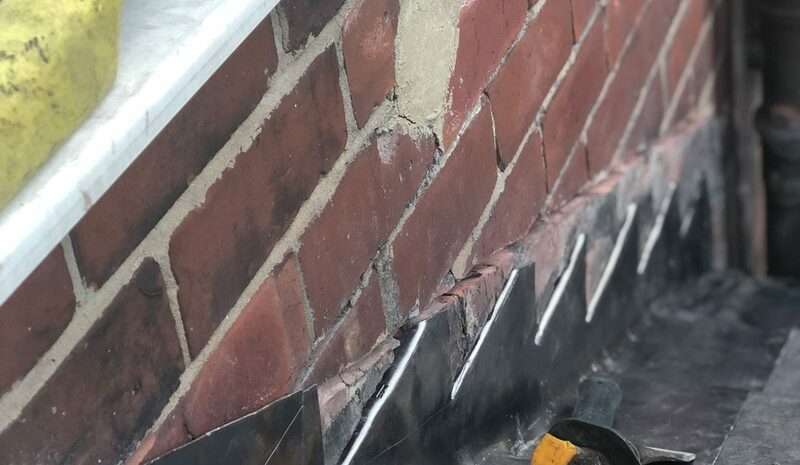 I felt confident that Peter knew what he was talking about when he looked at the condition of the chimney stack, and he was able to show me photos of the damage and explain what needed to be done. I felt that his quotation was very fair considering the amount of work that he and his team did. In the next year or so, our entire roof will need re-tiling and I will definitely be asking Peter back to do this work.As well as the standard of work being very good, and the price being fair, it's always a bonus to deal with a company that turns up when they say they will, completes the work as scheduled, and does a really good job tidying up afterwards. I can't praise them highly enough! We had VJR Roofing in to replace all the ridge tiles on our bungalow and garage with a dry ridge tile system. Our bungalow has an envelope-style roof, so the job was not simple and straightforward. Peter and his team arrived at 7.30am on the day as promised. They were quick, worked hard, and left our place clean and tidy. The job was completed in a day and we are very pleased with the results. Our bungalow and garage roofs now both look smart instead of tatty and tired. We are happy to recommend these guys to anyone. Peter has been my next door neighbour for many years. Approximately five years ago Peter re-roofed his own house, making my roof and guttering look dated and dirty in comparison! Peter, his son Ryan and the rest of the VJR team have recently completed a large job on my house involving a new roof, new guttering and new panels on and around the flat roof of the carport. The quote was free and was provided in a timely fashion after the initial request. The work was carried out professionally and to an extremely high standard with minimal disruption to the house and garden. Despite the scale of the job and a few bad weather days, the work was completed in less than a week and any mess made was cleaned up thoroughly afterwards. The house and carport have now been transformed and look absolutely fantastic (especially when the sun’s out)! I’m very pleased with the service provided by Peter and his team and I would have no hesitation in recommending VJR Roofing Services Ltd to others. Thank you Peter and Ryan for doing an excellent job! !